As we reported recently, researchers are coming ever closer to developing a vaccine for the Zika virus. But new findings from the University of Florida Institute of Food and Agricultural Sciences may throw a wrench into what we thought we knew about the disease. Associate professor of entomology Chelsea Smartt and her research team recently discovered Zika RNA in a species of mosquito that was previously unconnected to the virus. This could be bad news for consumers, since a greater number of infectious mosquitoes may make containing and targeting the disease more difficult. Previously, researchers had only found Zika in Aedes aegypti mosquitoes, but Smartt and her team discovered that the virus was also present in newly-hatched Aedes albopictus mosquitoes. "These results are important because they are the first to show that Aedes albopictus can be infected with Zika virus RNA. . . this study found Zika virus RNA in male mosquitoes, which we can infer also means the Zika virus RNA came from the mother. We need to determine if live Zika virus can also be transmitted in Aedes albopictus," said Smartt. Zika virus first gained a foothold in Latin America and has since spread throughout South and Central America. Efforts to contain the disease in the U.S. have been met with mixed results; a recent report detailed that it had spread to 44 states. The virus can cause fever-like symptoms, but the biggest danger it poses is the microcephaly birth defect that can be passed on to the unborn children of pregnant women. The defect affects brain development and can cause a range of neurologic conditions. 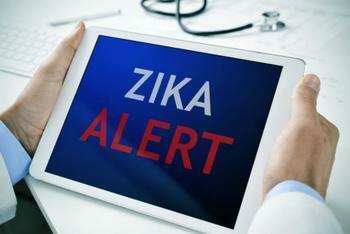 The researchers discovered that Zika RNA had jumped to Aedes albopictus mosquitoes after studying the species in Camacari, Brazil. The team collected 20 female and 19 male Aedes albopictus mosquito eggs and raised them to adulthood. After they had fully grown, the researchers analyzed them and found that they tested positive for Zika RNA. The findings indicate that different species of mosquitoes living an area with a high Zika virus density can contain the virus, even if the species had not previously been connected with the disease. The researchers are uncertain if Aedes albopictus mosquitoes can transmit Zika virus to humans, but they caution that consumers should take extra measures to avoid being bitten. Consumers can protect themselves from mosquito bites by staying indoors during the day when mosquitoes are most active. Wearing long-sleeve pants and shirts when going outdoors, applying approved mosquito repellents, and emptying any standing water where mosquitoes can breed is also recommended. The full study has been published in the Journal of Medical Entomology.